This pretty Porcelain Garden design is part of the Sanderson for Pimpernel collection. Sanderson is famous for its quintessentially English fabric and wallpaper designs and Pimpernel's collection coordinates beautifully with the Sanderson for Portmeirion tableware range. 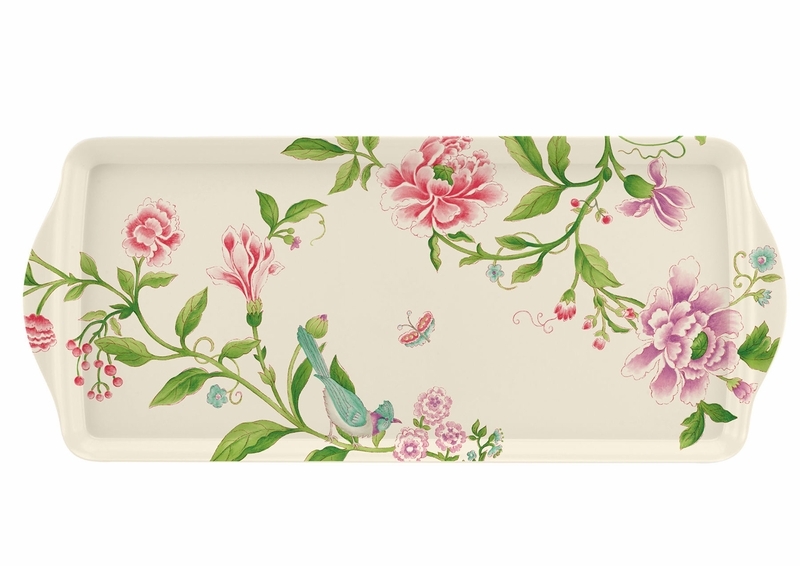 This sandwich tray has integrated handles and is wonderfully sized for afternoon tea's sandwiches and biscuits.